The story has been told of the young woman who gave birth to a baby without knowing that she was pregnant at all. A teenager went to bed with a headache, fell into a coma and woke up four days later - after unknowingly giving birth to a surprise baby. 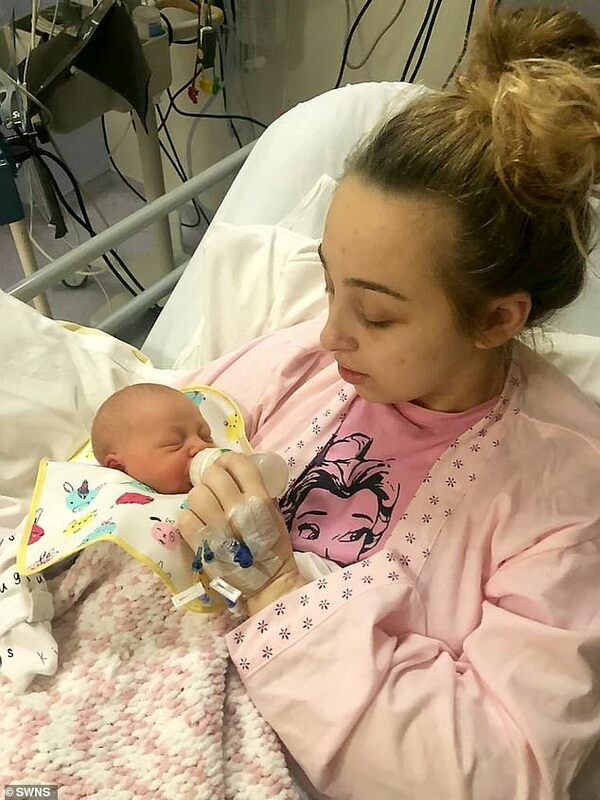 Ebony Stevenson, 18, from Oldham, Greater Manchester, had no idea she was pregnant, and after going to bed feeling unwell on December 2, 2018, she was rushed to hospital and placed in an induced coma before waking up on December 6 having had a baby girl. The college student - who studies Sports Physiotherapy - hadn't developed a bump, experienced no morning sickness and had not missed a period. In Ebony's case, only one of them had a fallopian tube to carry an egg, while the other had none - meaning her chances of conception should have been slim. After suffering a series of seizures on December 2, Ebony was rushed to Royal Oldham Hospital, Greater Manchester, and placed in an induced coma. Medics performed tests and discovered Ebony had suffered from preeclampsia which had caused the seizures, and she was pregnant. They told her mum immediately and said that the baby needed to be delivered right away. She underwent an emergency caesarean on Monday 3 December and gave birth to a baby girl at 1.32am who weighed 7lbs 10ozs - just over three hours after the first fit. Ebony woke on December 6 to discover she had given birth and was suddenly a mother. She has now got her head around the news and is enjoying bonding with her daughter, who she has named Elodie. The first time mum said: 'I didn't think I even wanted kids, at least not for another 10 years and never expected to be a young mum. 'Waking up from a coma to be told I had been pregnant and had given birth to a baby girl was overwhelming to say the least. 'Meeting my baby was so surreal. It felt like an out of body experience. 'I worried I wouldn't bond with my daughter because I had no time to get my head around her arrival, but I think she's amazing. Ebony had thought she was just unwell when she went to bed at 8.30pm on Sunday 2 December, complaining of a headache. She doesn't remember anything from then until waking up four days later - suddenly a mum. Thankfully her mum, Sheree, 39, a stay-at-home mum-of-five, has been able to fill in the blanks. Sheree said: 'At around 10pm that night I heard Ebony shout down to me that her headache had gotten really bad. 'She started being sick so I rushed her into the bathroom and before I knew it she was having a seizure on the bathroom floor. In the five minutes it took the ambulance to arrive, Ebony had five more seizures. When paramedics treated Elodie they asked if she was pregnant. 'Despite me insisting she couldn't be pregnant, the paramedics were certain she was, and to my shock a bump had appeared at her stomach,' Sheree said. 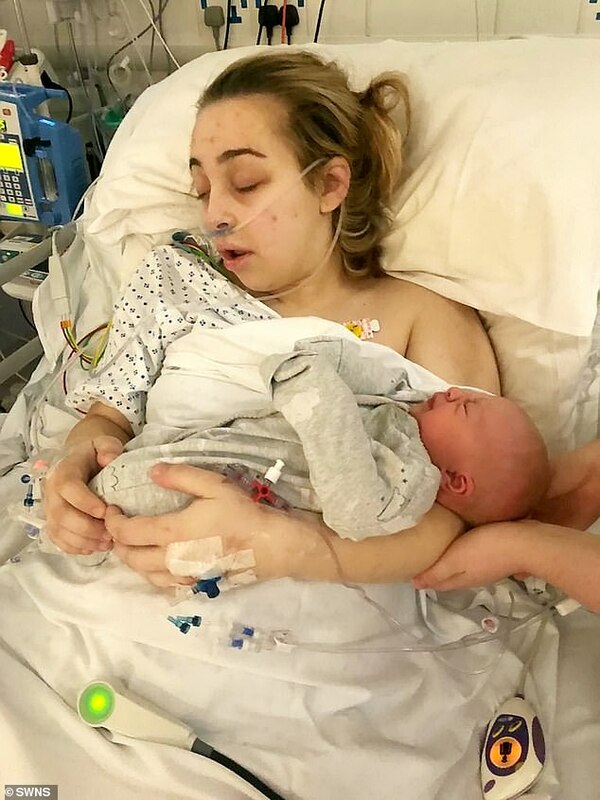 Ebony was rushed to Royal Oldham Hospital, near Manchester, where she was sedated before being rushed for an emergency caesarean that same morning. Proud grandmother Sheree was the first to hold the surprise baby, who was born weighing 7lbs 10oz. 'It was a strange moment because I had no time to prepare for it,' Sheree said. For the next four days, Ebony was in an induced coma while Sheree and her mum - Ebony's grandmother, Geraldine, 56 - stayed by her side, all the whilst looking after the little baby girl - who was later named Elodie. On December 6, Ebony finally opened her eyes, and it was only then that she learnt she had two uterus - one of which was continuing to menstruate and the other which was growing her baby girl. 'When I woke up I remember the nurses telling me I had a baby, and before I knew it they'd put her on my chest,' said Elodie. 'It sounds awful now, but I asked them to take her away as I was so confused and sure they'd made a mistake. 'But my mum explained it all to me while the nurses were there and they gave my little girl back to me to hold properly for the first time. Due to the weight of her little girl, doctors suggest that Ebony carried her to full term, which is astonishing considering she had no idea. This was made possible by the fact she has two uteruses - one is positioned towards her back so the pregnancy went unnoticed. Neither Ebony nor her mum had any idea that she had two uteruses, but this allowed her to continue having regular periods throughout the pregnancy, disguising it even more. 'The doctors said that Elodie was a miracle baby, as women with her condition often struggle to conceive or carry to full-term,' Sheree said. Both mum and baby remained in intensive care until finally being allowed home on December 13, where little Elodie was introduced to her uncles and aunts - Kennedy, 12, Poppy, eight, Pia, three and Navy, two. 'Ebony has taken to being a mum so well, she's a natural,' Sheree added. 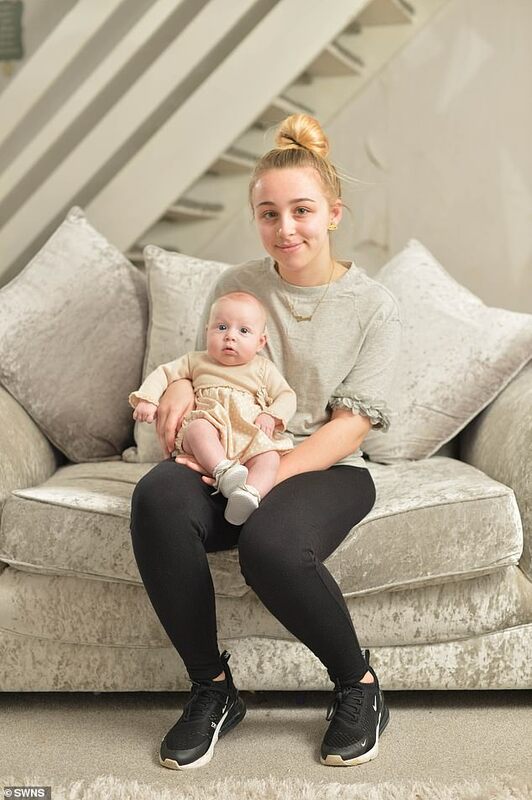 Ebony plans to go back to Hopwood College, Middleton - where she's studying Sports Physiotherapy - in February, and mum Sheree will help take care of the baby. 'Although I had no time to prepare, I wouldn't change what's happened for the world,' said Ebony.